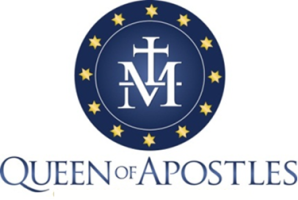 Thank you for visiting Queen of Apostles School Website! It is with heavy hearts that we announce that the 2015-2016 school year was our last. We are no longer accepting enrollment inquiries and applications. In our 58 years as a Catholic school, we have taught and developed some of the best and brightest students in a loving familial environment. We ask for your prayers of support for our students and staff as they move on to new schools and life experiences. God Bless You!